On a day that saw a massive outpouring of resistance, led by women, to the newly installed regime in Washington, Pickman Hall at the Longy School in Cambridge was the site of a staged production Saturday night of Vivaldi’s Juditha triumphans (“Judith Triumphant).” Billed as a collaboration between Eudaimonia, “a purposeful period band,” and the Early Music Department of the Longy School of Music, the performance is the brainchild of harpsichordist Vivian Montgomery, who has long studied the work. The performance will be repeated this afternoon. Based on the biblical Book of Judith—canonic for Roman Catholic and Orthodox Christians, but regarded as apocryphal by Jews and most Protestants—the composer’s sole surviving oratorio was written in 1716 for the women of the Venetian orphanage or ospedale in which he served as concertmaster. One of four Venetian charitable institutions then famous for their fundraising concerts, the Pietà, as it was known, still exists (its website is here). Today it is tempting to understand the story of Judith, who saved the Jews of Bethulia from soldiers of the Assyrian Empire, as a triumph of female genius and courage, and therefore as a parable for the women for whom the oratorio was written. The staging, including the lighting and rather unflattering costumes, was minimal although at times ingenious in adapting to the quite limited performance facilities. The Pickman stage was bare apart from a screen and a few tables and chairs. These, in currently fashionable opera-workshop style, were moved as necessary by members of the cast during musical interludes. The uncomfortably large orchestra occupied almost half the floor; the frequent substitution of one player for another on the two harpsichords and chamber organ led to some awkward visual distractions, at least from my viewpoint. The singers, who for some reason all had to perform barefoot, often entered via the narrow aisles. To represent the different locations of the Bethulians and the beseiging Assyrians, the former sang from the balcony. This production, co-directed by Montgomery with violinist Julia McKenzie, was previously the subject of an informative news item by Virginia Newes (online here). I cannot agree with a characterization of Vivaldi’s work as a “magnum opus.” This appeared in a four-page essay by Montgomery, distributed to the audience along with the detailed program (for a longer version, see Montgomery’s scholarly article shared on Google Drive). But the program booklet helpfully provided a full plot synopsis, complemented by generally accurate supertitle translations of the Latin text. A few lines were rendered in such a way as to identify the villain Holofernes with the new US president; the first one or two instances of this brought knowing laughter from the audience. In Vivaldi’s day, the musicians of the Pietà, several of whom were sufficiently notable to be named by the visiting German flutist-composer Quantz in his autobiography, played and sang out of sight of the audience. Vivaldi and his librettist Giacomo Cassetti naturally created the work bearing in mind this feature of the original performance, which spared the women from having to act out the dramatic events. Staging Juditha for a modern audience is therefore even more problematical than is the case with other Baroque oratorios (such as Handel’s Semele) which were not originally conceived for a fully theatrical presentation. Less problematical is the fact that Vivaldi wrote the work for an all-female cast. Even the tenor and bass parts were originally for female voices (as in his many other works for the Pietà). Today we are accustomed to the use of high voices for the male roles in Baroque operas, whether sung by men or women. Therefore the only reservation one might have about the casting was the use of male voices for the lower choral parts and for the least important of the five solo roles. This, however, struck me as immaterial, at least by comparison with several more problematical aspects of this production. Because this performance came from a mixed ensemble of professionals and students, it would be inappropriate to comment extensively on individual strengths and weaknesses among the musicians. Suffice it to say that in Saturday night’s performance, mezzo-soprano Carrie Cheron was the most consistently convincing of the five soloists, in the relatively reserved part of the pious Judith. Among the players, cellist Morgan Little was impressive for his steady performance of the demanding basso continuo part. I was sorry, on the other hand, to hear a countertenor asked to take the role of the Jewish commander Ozias, which lies more comfortably for a female alto. In my view, moreover, singers should not be expected to sing added embellishments that incorporate such doubtful stylistic features as the tasteless modern practice of ending arias an octave too high. And although even professionals in this repertory sometimes use indeterminate pitch as a way of projecting strong emotion, I don’t believe that this is something that vocal instructors or directors should encourage, particularly in repertory that depends on grace and eloquence even in highly charged “rage” arias. “They follow a formula. That’s what music of that time did.” So, I overheard one audience member explaining to another a notorious feature of Vivaldi’s music. Unfortunately, this performance did little to belie that stereotype. Vivaldi’s oratorio has been popular ever since its modern premiere in 1941, one of the first major events in the twentieth-century Vivaldi revival. The music is especially noted for its instrumental writing, which was meant to display the ospedale’s ability to present rare and exotic instruments, including a consort of “English viols” (probably a set of violas da gamba), chalumeau (an early form of clarinet), and mandolin. Even the organist gets solo role in one aria, rising from the usual role of continuo player (accompanist). 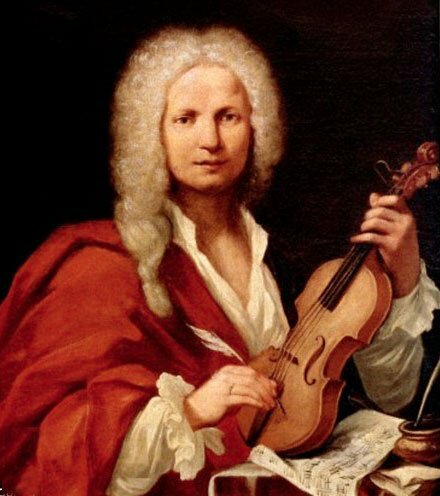 But although sometimes charming and always more than competent, Vivaldi’s music here does not strike me as emotionally compelling or even particularly inventive, certainly not by comparison with the composer’s better-known instrumental music. The arias are less catchy than those of Vivaldi’s German imitator Hasse (whom even Bach admired). And although it adequately fulfills the conventions of the time, I cannot agree with the director’s assertion that the music delineates distinctive characters. Only the recitatives occasionally go beyond conventional harmony, and this unfortunately was marred by occasional wrong chords and faulty synchronization among the continuo keyboardists. I must also point out that Vivaldi’s music makes for a singularly inept drama, at least in a staged performance. Leading up to the climactic moment at which Judith beheads her enemy are no fewer than five lengthy arias which, at least in this performance, were too slow to maintain tension. Even Holofernes’ “Noli o cara,” meant to represent the Assyrian commander’s ardor for Judith, fell flat due to its unduly deliberate tempo. This let the air out of its remarkable instrumental accompaniment, scored for what should have been exhilarating solos for oboe and organ. I am sorry, too, that the need to cram an instrumental ensemble of two dozen players onto the floor and balcony of Pickman Hall doubtless contributed to an uncomfortably warm environment. This played havoc with tuning for at least one wind player. Despite the many problems encountered, I’m sure that the experience has proved instructive for both the students and the professionals. It’s impressive that Longy should be presenting it, and Eudaimonia’s policy of asking audience members to pay what they wish is laudable (somewhat like the discretionary entrance fee at New York’s Metropolitan Museum of Art), but given the painfully inadequate resources available for staging such a work, it would have made sense to attempt something closer to the concert performance that Vivaldi had in mind. Hiding the performers from view might seem extreme, yet without trying it we can only guess at how effective that might be in a creative performance. Even in this production the one all-too-brief moment of action took place (thankfully) behind the screen. When, however, Judith delivered the head of Holofernes (covered by a cloth) in a basket to her maid Abra, her reference to this “gift” understandably provoked titters from the audience. At the same time, the horror of the actual event cast a pall over the thoroughly conventional music of rejoicing with which Vivaldi ends the oratorio. I don’t know, however, whether any different staging could eliminate all the cognitive dissonance that results from making visible what was meant only to be suggested by the poetry and music. I wonder, too, whether another approach to the production might have made it possible to focus more intently on a fine performance of the music, which after all should be the primary reason for paying attention to anything by Vivaldi. I am so sorry to have missed this; it sounds like an ambitious and worthy project! The piece certainly has its dramaturgical challenges. As always, I appreciate Mr. Schulenberg’s thoroughly researched and well-written review, but I disagree with his assessment of Juditha’s musical value. in my view, this is top drawer Vivaldi, with notable variety of character and sentiment in the arias that goes beyond the obviously imaginative use of “exotic” instruments and inventive orchestration.